Sleep disorders require an integrated team approach for effective treatment. Colorado Sleep Institute (CSI) has gathered an elite team of sleep professionals, including physicians, dentists, and sleep technologists. We have the largest number of fellowship-trained sleep physicians in Colorado and have Boulder County’s only Diplomate of the American Board of Dental Sleep Medicine on our team. Our extensive training and experience allows us to address the full spectrum of pediatric and adult sleep disorders. The Colorado Sleep Institute is the only truly comprehensive sleep disorders center in Colorado. Our board-certified, fellowship-trained sleep physicians evaluate, diagnose, and treat the full spectrum of sleep disorders. All clinical services, diagnostic testing, and treatments are provided in-house resulting in the highest quality care. 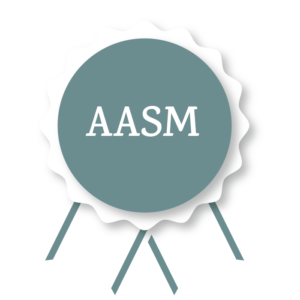 Our overnight sleep facilities and our home sleep testing programs are the only AASM-accredited (American Academy of Sleep Medicine) sleep diagnostics programs in Boulder County. Our dental sleep medicine facility is the only AADSM-accredited (American Academy of Dental Sleep Medicine) oral appliance program in the state of Colorado. Experiencing any of these symptoms? We can help. Need help with your Home Sleep Test?